STINT, The Swedish Foundation for International Cooperation in Research and Higher Education, has officially opened its first overseas office in China at the Consulate General of Sweden in Shanghai, China on October 18, 2018. This is part of STINT’s China initiative, which was launched earlier this year. 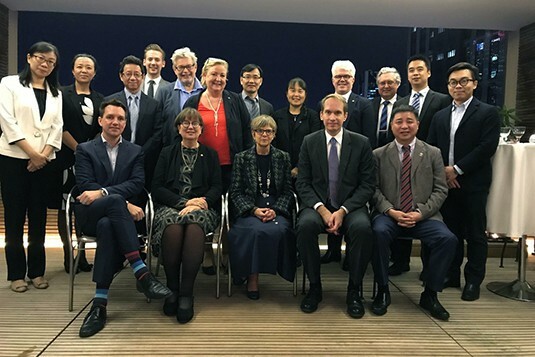 The aim of this initiative is to provide support that can enhance Swedish higher education institutions’ strategies, activities and networks in relation to China. This is done by providing knowledge and skills to Swedish higher education institutions and research funding bodies regarding China’s development in higher education and research. STINT’s Representative in China is Dr Erik Forsberg. He has long experience of developing and managing international university partnerships and has been working in China for more than ten years. “Having a physical presence in China with Dr Erik Forsberg is an important step in enhancing academic cooperation between Sweden and China. It is the result of close cooperation with the Swedish Consulate General in Shanghai”, says Dr Andreas Göthenberg, STINT’s Executive Director. As part of this initiative, STINT develops strategic partnerships through building long-term and strategic relations with higher education institutions, research funders, think tanks and government agencies on both the Swedish and Chinese ends. In addition, we conduct trend analysis in the areas of research, higher education and innovation in China. We also aim on providing direct support to the senior leadership of Swedish higher education institutions. More about STINT’s initiative in China. “I welcome STINT’s initiative and Dr Erik Forsberg to the Consulate. It will strengthen the Consulate regarding higher education and research, which is very important in the greater Shanghai area”, says H.E. Lisette Lindahl, Consul General of Sweden. Since 2015, STINT has provided the largest programme for research cooperation between Sweden and China. The programme, which is co-funded by the National Natural Science Foundation of China (NSFC), supports 75 three-year research projects between the countries and is STINT’s largest single programme. An annual call is open for applications between July and September. Activities in China will take place in close partnership with the Swedish Consulate General in Shanghai and the Embassy in Beijing, as well as Swedish higher education institutions and research funding bodies. The official launch was held at the Consul General’s Residence on October 18, 2018. Participants included representatives from relevant organizations both in China and Sweden, including the leadership of KTH, Royal Institute of Technology. 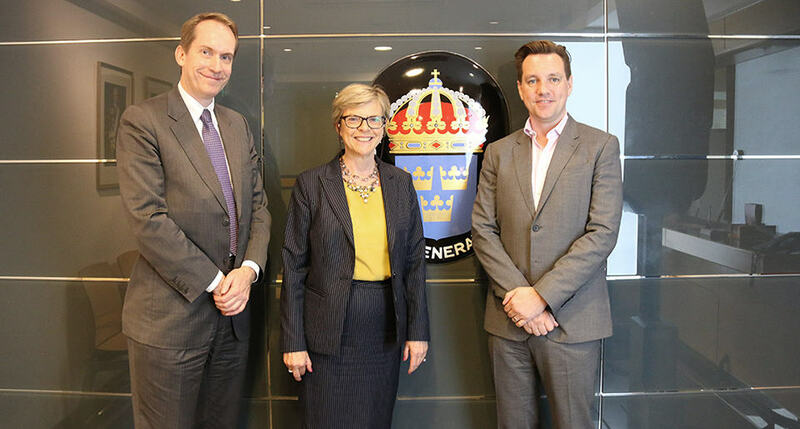 Photo: Consulate General of Sweden.